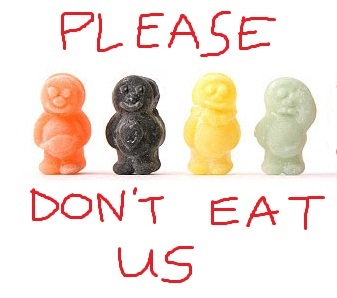 You’ll probably not be surprised to hear that I did get low after I left work yesterday afternoon, I was 3.2mmol/l at five o’clock so I had some jelly babies (I recently ran out of dextrose so got some of them instead ’cause I was nowhere near a pharmacy!). I have now happily adjusted my doses so instead of half a unit an hour through the afternoon I am now having 0.4 units at 13, 14 and 1500 hours. All seems good so far as I just did a blood test (at about quarter past four) and it came out at 6.5 – RESULT!!! I do feel like I’m getting my diabetes and accordingly my life under control finally after many years of having far too many ups and downs. Now I feel like any issues I have are mainly down to mis-guessing carbohydrates, so as soon as I am able to guess whats in a slice of cake at 500 metres then I’ll be sorted. Volleyball practice tonight again, I need to think a bit more about what I dose myself up with – jellybaby wise – and see if I can come out of volleyball with a relatively stable blood sugar. I suspect it will still take a fair bit of fiddling about and retrying to get it right but I am at least now armed with the knowledge of what kind of thing I need to do to cope.